RecipeSavants.com In my version of a classic French dip sandwich the chuck roast is slowly cooked with beer, stock, and onions and Worcestershire sauce while topped with melted provolone cheese. 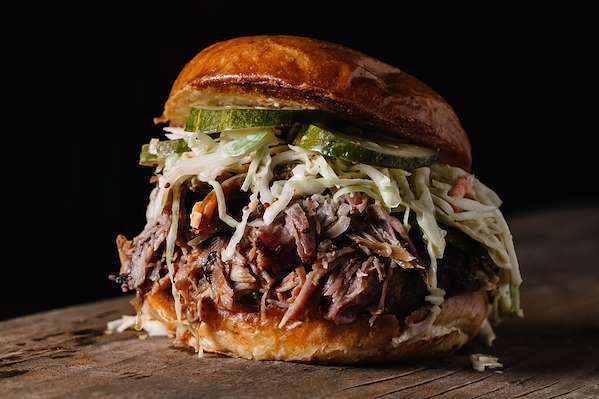 This sandwich is a mouthwatering masterpiece. Smart Recipes, American Recipes, Beef Recipes, Recipes Beef American Beer & Onion French Dip Sandwich PT6H30M Serves 6 Ingredients: 4 Pounds Chuck Roast 1 Teaspoon Salt 0.5 Teaspoon Freshly Ground Black Pepper 2 Tablespoons Canola Oil 1 Large Yellow Onion 1 Cup Beef Stock 12 Ounces Dark Beer 1 Tablespoon Worcestershire Sauce 6 Hoagie Rolls 12 Slices Provolone Cheese Season chuck roast with salt and pepper. In a large Dutch oven, heat oil over high heat and brown chuck roast for about 5 minutes per side. Transfer the chuck roast as well any leftover juices to a slow cooker. Add onion, stock, beer and Worcestershire to the slow cooker and stir to mix. Set to low and cook for about 6 hours. Carve roast into thick slices. Reserve one cup of the au jus. Place roast slices on toasted rolls and top with cheese slices. In the oven, broil the sandwiches for a few minutes until the cheese melts. Place au jus in a small bowl and serve with sandwiches. 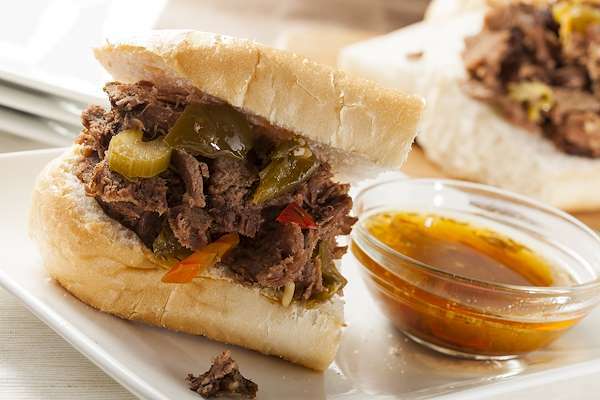 If you loved this easy french dip sandwich, you'll love these fresh recipe ideas.